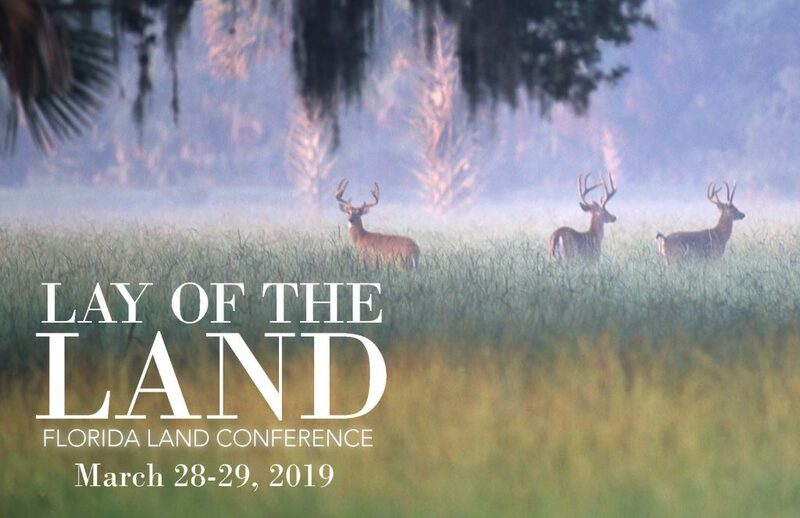 The Lay of the Land Conference is an annual gathering of landowners, policymakers, investors and other industry affiliates who want the most accurate, current data about the Florida land market. Guest speakers will share economic, market, sales and regulatory expertise. Thank you to everyone who was able to attend this years event. If you were a registered participant, you can view audio and visual presentations as well and review the slides of speakers presented at the conference. See your email for the password to the access the page. As always, our guests will receive a copy of the exclusive Lay of the Land Market Report which continues to be the single source of verified Florida sales data used to evaluate market trends and land values throughout the year. 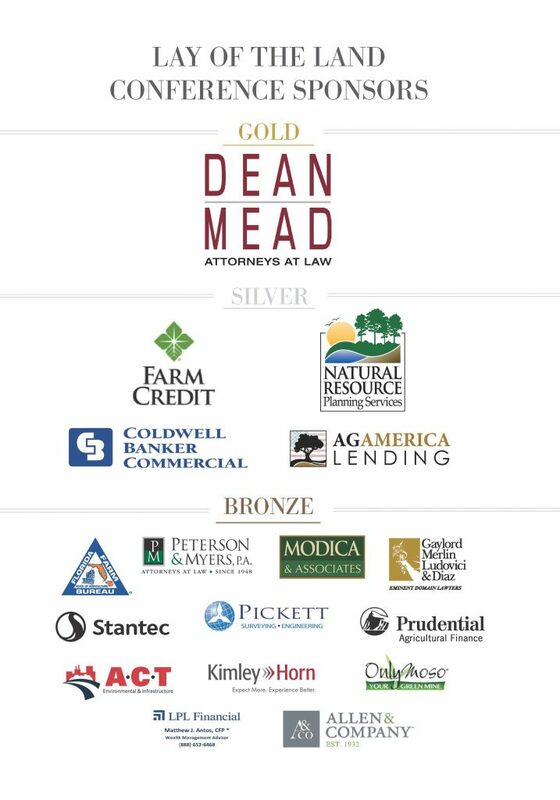 A special thank you to our sponsors who underwrite more than half of the costs of this event.